This is a four tier table display that is comprised of 8 tables. 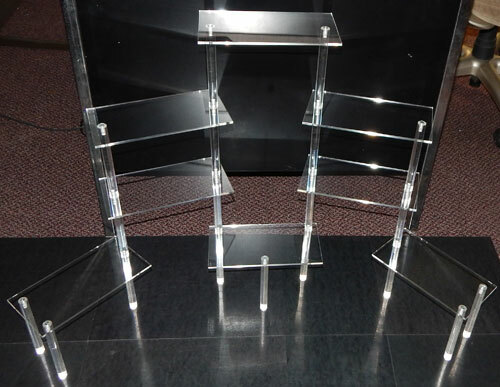 This display gives you the ability to easily organize the different products that you will be displaying. The tiered design provides an easy browsing experience for your customers. 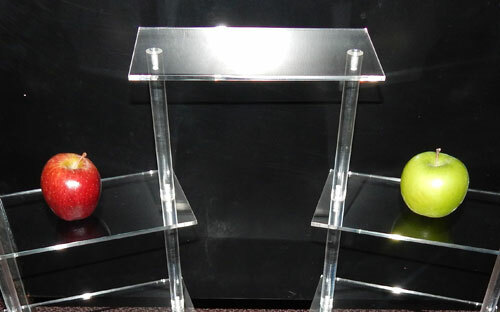 This table display has a large amount of durability due to out use of high quality acrylic materials. The legs are approx. 5-7/8" high between tiers plus there is 3/16" material thickness of the shelves.